Inspired by the romance and adventure of 19th century sea-faring life, with a touch of 20th century seaside summer fun! New Bedford evokes a slow stroll on cobblestone streets, salty air, a favorite iced treat, and a quilt on a bed in a room with a view. Nine enchanting patterns in three refreshing colorways – sun, sea, and sorbet – will transport you to a time and place of limitless possibilities. Embark on your own creative adventure – billowing curtains, flirty skirts, captivating quilts or elegant dresses – New Bedford is as versatile as your own imagination! 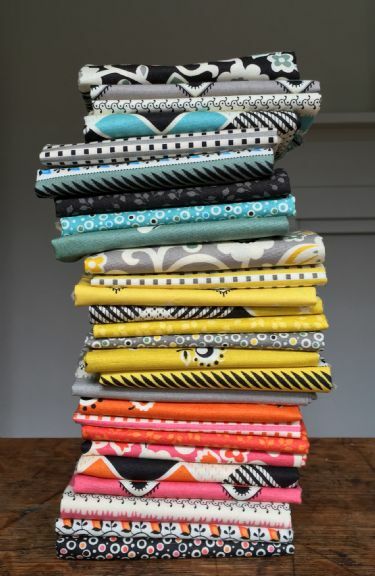 Pre-cut New Bedford Bundles from FreeSpirit include 10 coordinating DS Modern Solids: Orange, Kumquat, Flamingo, Solar, Spark Gold, Shell, Dogwood, Licorice, Light Jade, and Asparagus. Ask your local shop to order them!